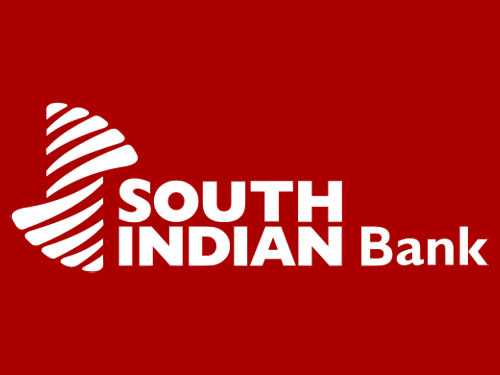 The South Indian Bank Limited Recruitment of Probationary Clerks 2017-2018 Notification has been published. South Indian Bank (A Scheduled Bank), Thrissur, Kerala has published Advertisement for below mentioned Posts 2017-18. Other details like age limit, educational qualification, selection process, application fee and how to apply are given below. Educational Qualification: SSLC / 10th Class, XII (12th Class) / HSC and Graduate Degree in any discipline under Regular Course (Minimum 60% Marks) from Government Recognized University / Institute / Board. Eligibility: Candidates having permanent address in the respective state or those who have been residing in the same state continuously for the last 5 years and are proficient in local language apart from English only are eligible to apply. Language Proficiency: Malayalam - Kerala, Tamil - Tamil Nadu / Puducherry Union, Telugu - Andhra Pradesh and Telangana, Hindi - Delhi NCR. Age Limit: Less than 26 Years as on 31st December 2017. i.e. Candidate should be born not earlier than 01.01.1992 and not later than 31.12.1997 (both days inclusive). The Upper age limit relaxation 05 Years for SC / ST Candidates. Application Fee (A Non-refundable): ₹ 600/- for General Category Candidates; ₹ 150/- for SC / ST Category Candidates. The candidates also required to pay extra 18% GST. The fee should be made through Online Payment Mode using Debit Cards (RuPay/ Visa/ MasterCard/ Maestro), Credit Cards, Internet Banking, IMPS, Cash Cards/ Mobile Wallets. Probation Period: The period of probation is 06 months (Half Year). Confirmation will be subject to satisfactory performance during the period of probation. Selection Process: Online Test and Personal Interview. Candidates will be shortlisted for Interview, on the basis of performance in Online test. The final selection shall be made on the basis of Personal Interview. Help Desk: For ant queries contact Toll Free Customer Care Number 1800 843 1800 (Toll Free India).